Guava is sweet fruit, with unique flavor and fragrance. It is cultivated in tropical climates and is mainly produced in India, Brazil, Colombia, Venezuela, and Mexico. The fruit may be eaten fresh or in the form of jams and beverages. It is loaded with essential nutrients/minerals like calcium, phosphorous, iron, magnesium, potassium and Vitamins like Vitamin A, C and B complex, that provides fiber and energy. The fruit is categorized as Super Fruit because of its numerous health benefits. The fruit, leaf and the fruit juice are all used for medicinal purposes. Guava leaves (Amrood ke patte) are considered to be equally useful for medicinal purpose as they grow with the nutritional powerhouse fruit. The leaves of Guava are full of antioxidants, anti-inflammatory, and anti-bacterial properties. They contain tannins and are very useful in treating stomach problems. Guava leaves are brewed to make herbal tea, which then releases Vitamin C and flavonoids like quercetin. Guava leaf tea is a beverage made by boiling the leaves in water. 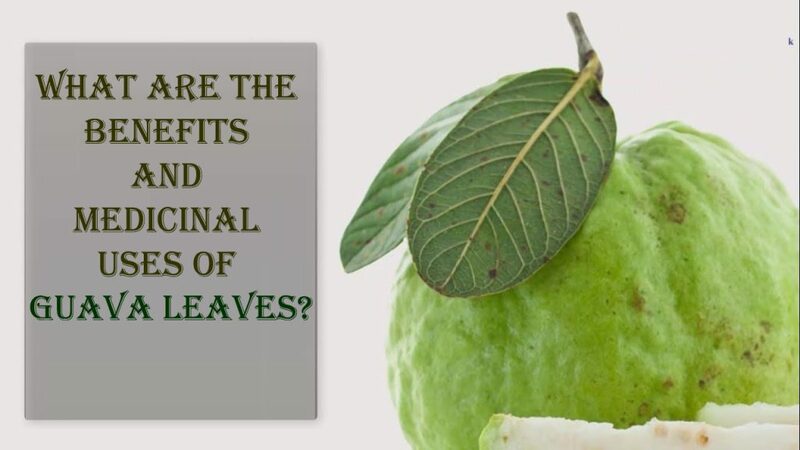 Guava leaves are considered as an herbal treatment for several diseases. Guava leaves are one of the best solutions for weight loss. The juice of these leaves helps to prevent the complex starches from being converted into sugar. The fruit, the leaves, and their extract are rich in fiber and have a low glycemic index thus making it very useful for weight loss. The fruit has only 37 calories and no cholesterol making it a low-calorie healthy snack that can keep one full for longer time. 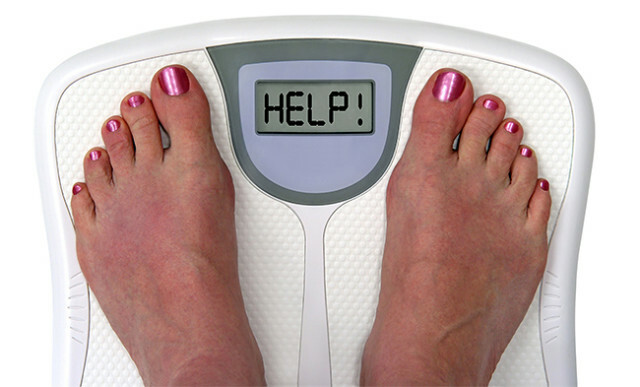 The extracts from guava leaves inhibit lipase and glycosidase which helps in curbing obesity. Guava leaves extract or guava leaf tea are highly beneficial for diabetic patients as they help to reduce blood sugar levels naturally. The leaves reduces the alpha-glucosidase enzyme activity and prevent the absorption of sucrose and maltose. The high fiber content in guava fruit and leaves, helps to manage diabetes by slowing down sugar absorption in the blood. The leaf extract prevents the development of Type 2 diabetes. When blood sugar level is higher than normal, the condition is called Diabetes which can lead to heart diseases, stroke and nerve damage. Every diabetic patient is recommended to consume guava/guava leaf tea to prevent fluctuations in insulin and glucose levels. Guava leaf tea has antihyperglycemic and antihyperlipidemic effects which helps in lowering the cholesterol levels and are very helpful for prediabetic and diabetic patients. Guava is packed with compounds like lycopene, Vitamin C, Quercetin and Polyphenols that act as anti-cancer and anti-tumor agents. They all work to neutralize free radicals throughout the body which may cause cancer. All cancers including breast cancer, skin, lung, colon, prostate, and oral cancer could be prevented by consuming Guava as fruit or Guava leaf tea. Its cancer-fighting properties help inhibit the production of androgen (male hormone) which are responsible for the growth of cells in prostate cancer. The leaf extract is very useful in treating patients with stomach or gastric cancer. 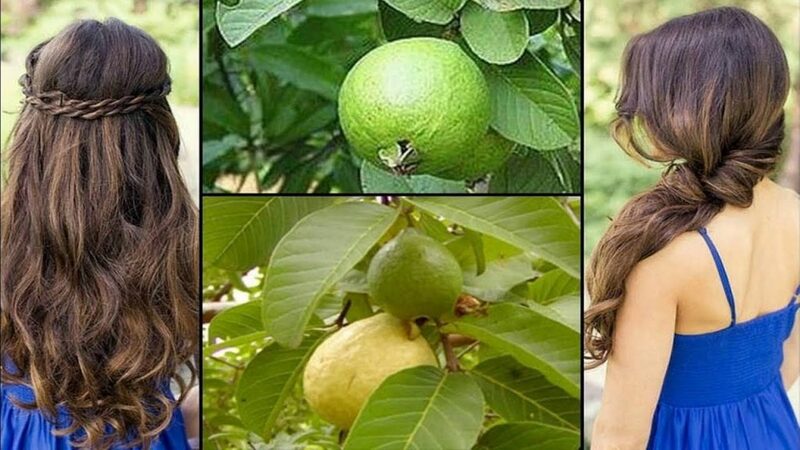 The plant extract when consumed, leads to apoptosis, which means the gastric cancer cells attack themselves.Guava essential oil is very useful in slowing cancer activity with stomach cancer. The oil from the leaves acts as an antiproliferative and reduces cancer cell growth. Guava leaf tea is very useful in treating diarrhea. The extract may be taken as a capsule or a few drops of essential oil in warm water to decrease the frequency of defecation and reduce the severity of diarrhea especially the one caused due to contaminated food and water causing loose stools. The antispasmodic and antibacterial properties of guava leaves also help in reducing the symptoms of dysentery. The Guava leaf tea helps in stimulating the production of digestive enzymes thus smoothens the digestive process. The anti-bacterial properties of Guava leaves are very effective in treating any kind of food poisoning, nausea, and vomiting conditions. Guava leaves are packed with Vitamin C which is needed to improve the overall immune system. The Weak immune system leads to inflammation (swelling, pain) in various parts of the body. The anti-inflammatory properties help in preventing inflammation related problems like acne, bronchitis, and asthma. Guava leaf tea works as an effective antiviral agent too and helps in eliminating the flu virus completely. It is very effective in eliminating pandemic influenza viruses. Guava leaves are very beneficial in increasing the blood platelet count and avoid bleeding in case of dengue fever. Daily intake of Guava leaf tea helps to reduce the chances of wrinkles, dry or saggy skin leading to healthy glowing skin. Vitamin C in the leaves helps stimulate the production of collagen which keeps the skin firm and elastic. The antioxidants in the tea. Helps neutralize free radicals that can damage the skin cells and lead to premature aging. 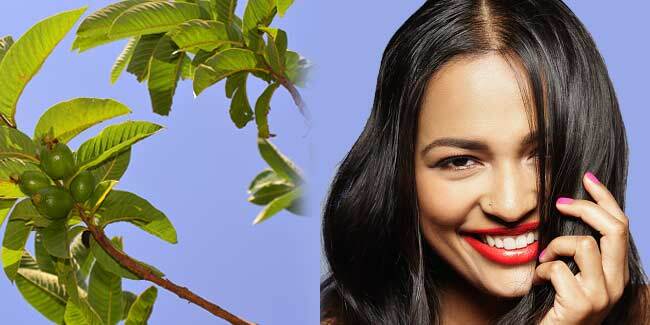 One may use unripe guava leaves as astringent to protect the skin from damaging UV rays and skin breakouts. The Vitamin A content in guava leaves boosts the eyesight and slows down the macular degeneration. The guava leaf extract may be directly applied on the skin to treat acne as it kills the acne-causing bacteria on contact. The juice of guava leaves helps with oral ulcers, mouth swelling, swollen gums, toothaches as it speeds up the healing process of wounds inside the mouth. It also reduces the risks of any kind of bacterial infections within the mouth. Fresh guava leaves are considered as a natural pain reliever and are very helpful for females during menstruation. The guava leaf extract reduces the intensity of pain during menstrual/ uterine cramps. The leaves can be utilized tropically also depending on the illness. It is not required to extend the shelf life of Guava fruit, so they are least chemically treated and sprayed among all fruits. 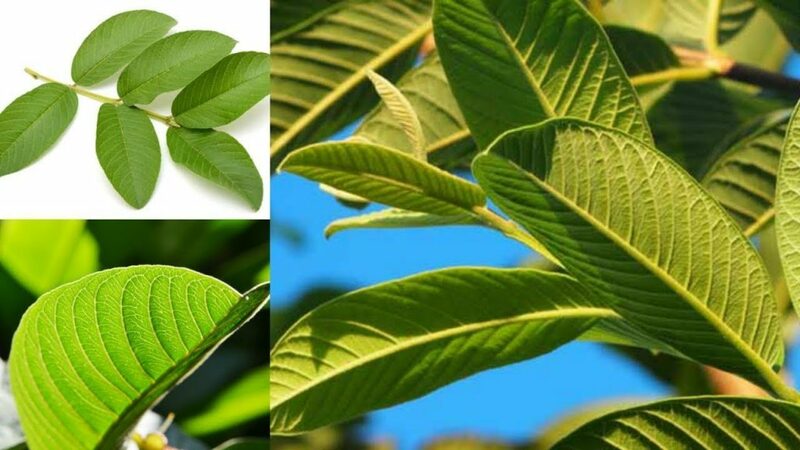 Due to its medicinal properties, guava leaf supplements are available nowadays in the form of capsules and guava leaf tea. Previous What is Oil Pulling and Oil Pulling Benefits? Next What Are the Benefits of Eating Bitter Gourd?